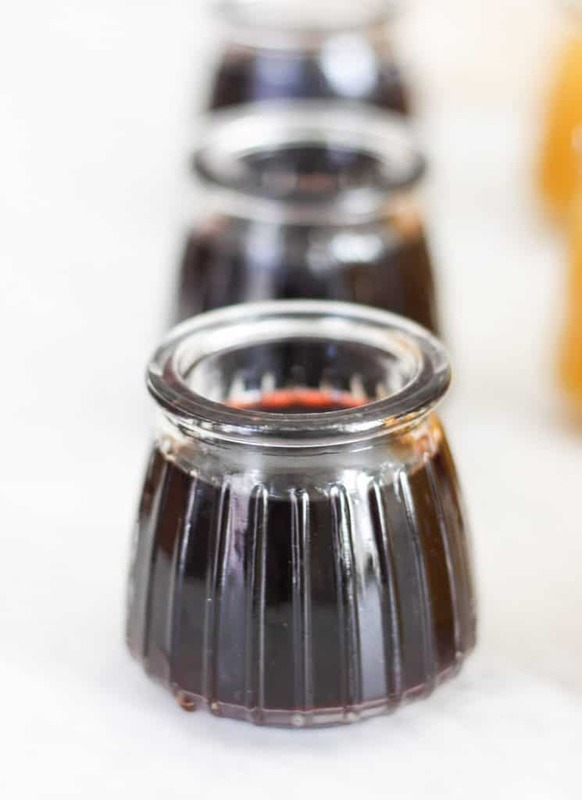 These apple cider vinegar shots are a tasty way for you to improve your gut health, improve your detoxification, improve your digestion, and boost your metabolism. These recipes include juices, raw apple cider vinegar, and detoxifying spices that you’ll find in any grocery store. What are apple cider vinegar shots? This recipe is so simple! 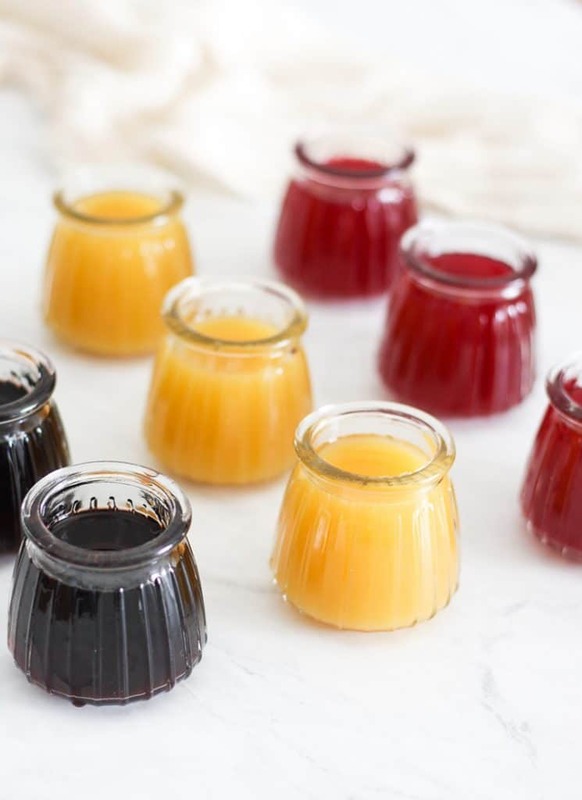 An apple cider vinegar shot is a combination of juice, raw, unfiltered apple cider vinegar, and any yummy add-ins you choose. 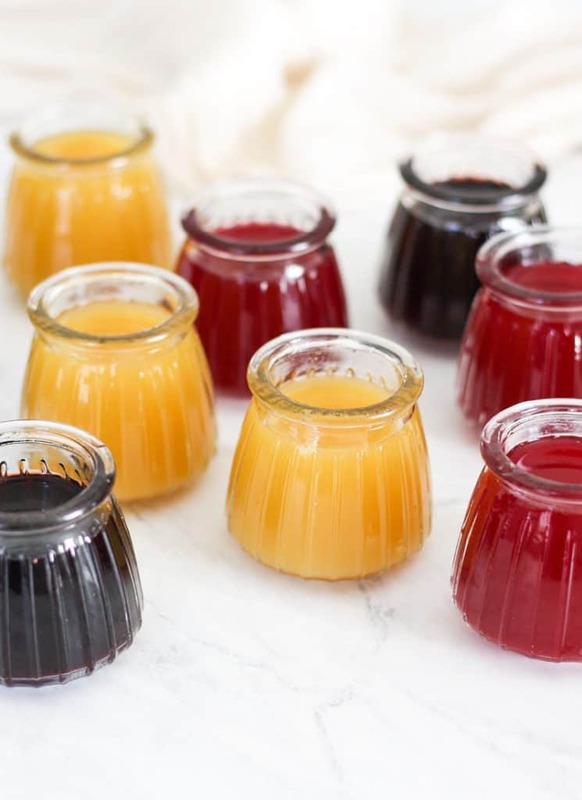 In these recipes, I include juices and spices that have detoxifying properties and help to disguise the acidity of the apple cider vinegar. I’ve linked to a juice brand that is not from concentrate, but easy to find in any grocery store. Disclaimer: it’s crucial that you dilute apple cider vinegar! Don’t just take it straight, as it could burn your esophagus. 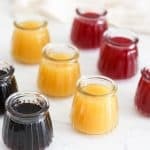 What are the benefits of taking a shot of ACV? 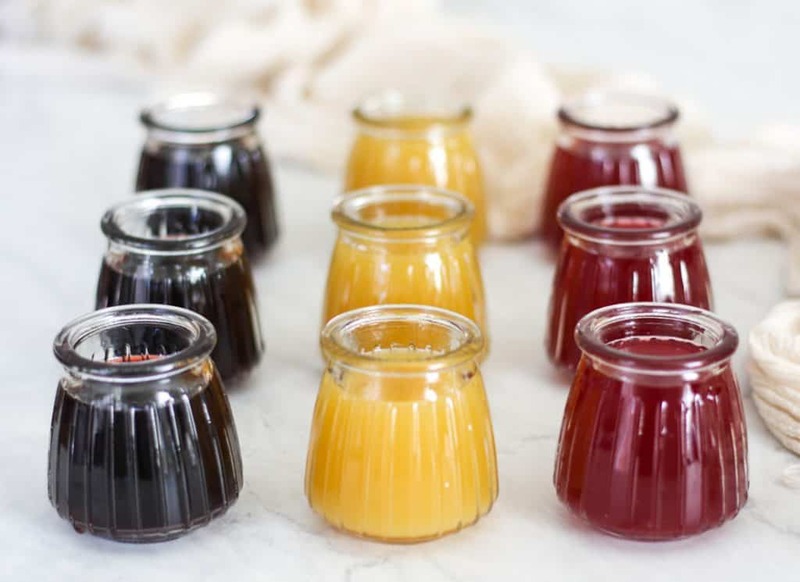 You might be wondering, “why on earth would someone want to add vinegar to their juice?” Fair question since vinegar is typically reserved for salad dressings. Raw, unfiltered apple cider vinegar like this one actually has lots of benefits! And since most people wouldn’t be apt to just adding it on top of every meal, the apple cider vinegar shot came to exist. Apple cider vinegar boosts the acidity and production of your stomach acid. Adequate amounts of stomach acid are important to help digest your food completely. 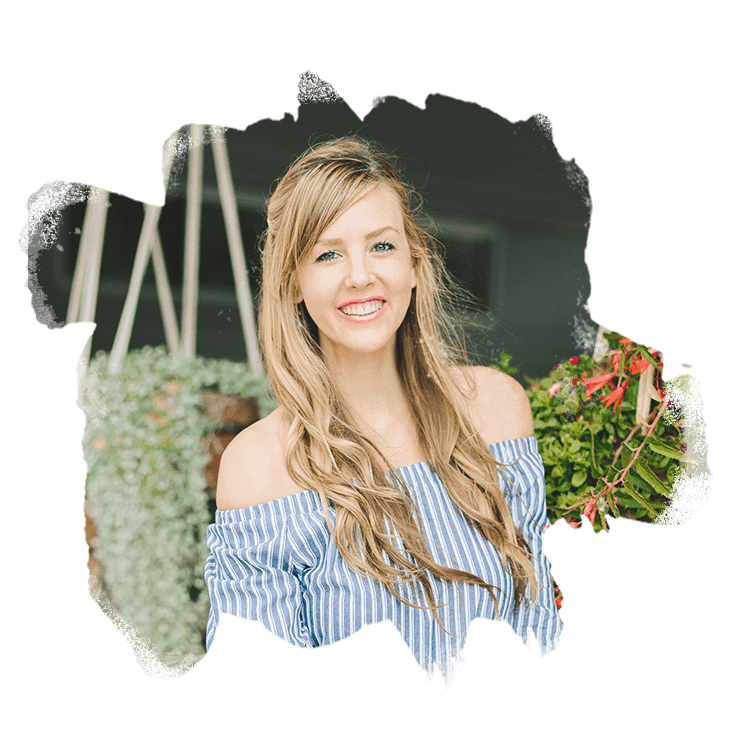 Low stomach acid can contribute to SIBO, heartburn, and a lack of proper nutrient assimilation. A study found that subjects with insulin resistance had stable blood sugar levels comparable to the effects of acarbose or metformin when they took an ACV shot before a high-carbohydrate meal. The acetic acid in apple cider vinegar naturally helps balance your body’s pH. This stimulates your circulation, thereby aiding your body’s detox abilities. When you purchase apple cider vinegar that is raw and unfiltered (like this one), you’re purchasing a vinegar with unique acids that act as a chelator. This means, it can bind with toxins to help safely remove them from the body. It also works to cleanse the lymph nodes and support your entire lymphatic system. By the way, the lymphatic system is the primary detox system in your body. Cool, right?! Raw apple cider vinegar is actually a nutrient powerhouse. It is full of enzymes, probiotics, vitamins, and minerals. All of these help to support your body’s detoxification efforts! 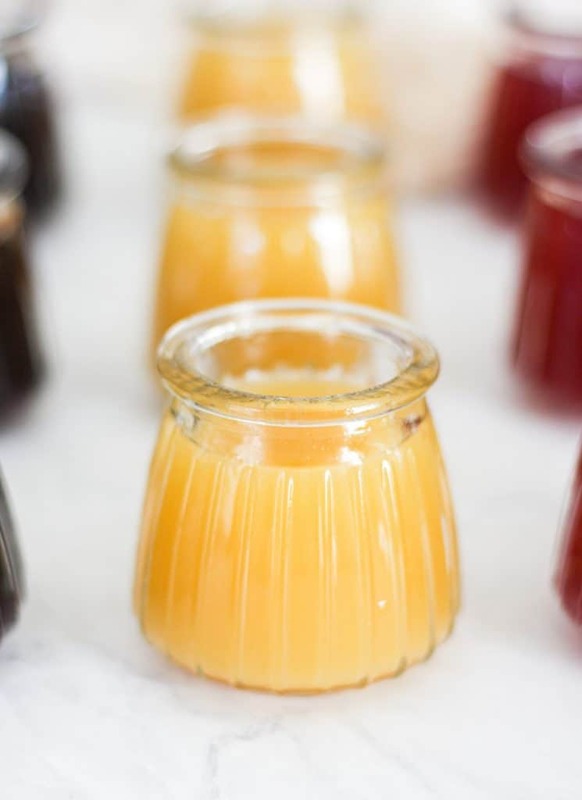 Now that you know what apple cider vinegar shots are, let’s talk about how to make one! Remember, you don’t ever want to take a shot of apple cider vinegar on its own. In addition to not tasting very good, this can also be damaging to the esophagus. Drink about 1 ounce before meals and snacks to prep your body to properly digest and break down the food you’re eating. What are the detoxification benefits of these ingredients? Each recipe includes it’s own combination of fruit juices and spices that provide detoxifying benefits. Some of the ingredients are inherently detoxifying, while others provide antioxidants. 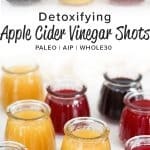 Let’s dive into each apple cider vinegar shot recipe combination, and the detoxifying benefits provided from the ingredients. Cranberries are high in pectin and vitamin C. Vitamin C is not only an antioxidant, but it also supports liver function and detoxification by improving enzyme functions. D-Mannose is another detoxifying component found in cranberries. It helps flush the kidneys, which then aids in the removal of toxins from the liver through the urine. Spices and herbs are some of my favorite ways to add a hit of detoxifying properties to any recipe, and cinnamon is one of the best! It’s high in vitamins and essential minerals, and studies show it also helps balance blood sugar by lowering insulin resistance. Both of these traits help your body to focus on detoxification. Cherries are a good source of antioxidants, and a great source of melatonin. Now, melatonin can have a positive impact on the quality of your sleep, which makes this my favorite apple cider vinegar shot to sip before dinner. 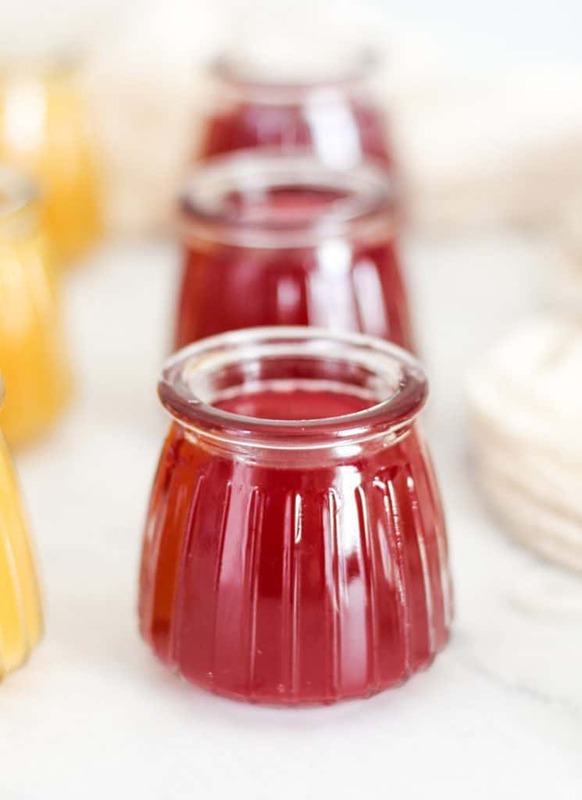 Pectin is a naturally occurring chemical that helps to chelate toxins from the body. You’ll want to infuse your acv shots with whole lime slices instead of simply squeezing the lime juice into your water. This is because pectin in limes and other citrus fruits is found to be high in the rinds and pith. You can also use lime essential oil if you have that on hand. Pineapple is rich in bromelian, an enzyme with powerful digestive properties. This enzyme has been show to improve the break down of fats and proteins. Another benefit of pineapple – it’s also been shown to reduce inflammation! Cayenne pepper is rich in antioxidants, which helps to detox by fighting oxidative stress. It also contains a natural pain relieving component called capsaicin. This helps to increase circulation in the body, which is beneficial to a variety of detoxification processes. If you’re following the AIP diet, you’ll want to omit the cayenne pepper in this recipe.